Full-Service Payroll and Bookkeeping at a competitive and reasonable cost. I can offer basic bookkeeping to full-service bookkeeping; including paying bills, accounts receivable, accounts payable, and unaudited financial statements. Opening a business? I can help with setup to tax planning. I can also help with your bookkeeping and payroll needs. Have you recieved an IRS or State Department of Revenue letter? I can help. I can setup payment plans, settle tax debts, and assist with tax audits. I can relieve your stress and help with your IRS and State tax issues. I provide individual and small business tax preparation, including partnerships and corporations. I will find all the legal deductions and credits to reduce your tax obiligations. I can assist with proactive tax planning to ensure you find all the deductions and credits for the future. ​Enrolled Agents (EAs) are federally-licensed tax practitioners who may represent taxpayers before the IRS when it comes to collections, audits and appeals. As authorized by the Department of Treasury's Circular 230 regulations, EAs are granted unlimited practice rights to represent taxpayers before IRS and are authorized to advise, represent, and prepare tax returns for individuals, partnerships, corporations, estates, trusts, and any entities with tax-reporting requirements. Enrolled agents are the only federally-licensed tax practitioners who specialize in taxation and have unlimited rights to represent taxpayers before the IRS. The enrolled agent profession dates back to 1884 when, after questionable claims had been presented for Civil War losses, Congress acted to regulate persons who represented citizens in their dealings with the U.S. Treasury Department. Enrolled agents’ expertise in the continually changing field of taxation enables them to effectively represent taxpayers at all administrative levels within the IRS. 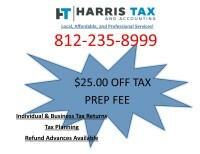 Call or email for a FREE review of your prior years' tax returns TODAY!